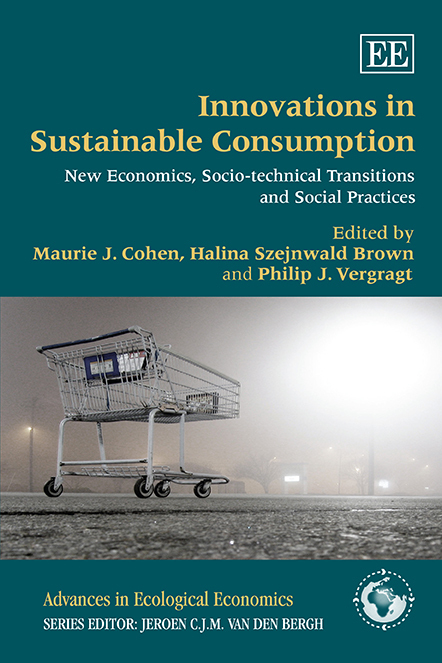 Sabine Hielscher, Gill Seyfang and Adrian Smith from the CISE project have a chapter in a new book on Innovations in Sustainable Consumption. The chapter explains how the project studies community initiatives in the UK as providing a ‘niche space’ for innovation in sustainable energy services. The book, edited by Maurie J. Cohen, Halina Szejnwald Brown and Philip J. Vergragt, contains contributions from leading scholars in the fields of sustainability, innovation and consumption.